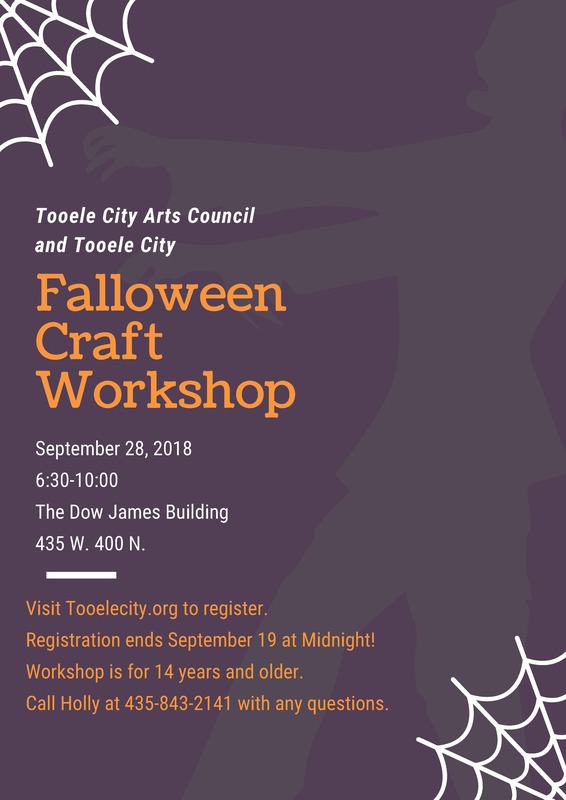 Join us for our Fall & Halloween Craft Workshop on Friday, September 28, 2018 at the Dow James Building. For ages 14 years and older. Please pre-register online by Wednesday, September 17. You can also pre-register in person at Tooele City Hall, 90 North Main Street, Tooele. Examples of the projects are on display at Tooele City Hall. Note that projects will vary from the samples. If you have any questions, please contact the Tooele City Arts Council at 435.843.2141 or at hollyt@tooelecity.org.